We purchased a warehouse in Riceville, IA, in February of 2013 as a new home for our feed business. We needed a loading dock to unload and load out van trailers with bags of feed (totes and sacks), needed gravel yard area for trailer parking, needed indoor operating capabilities, warehouse room, and at least a small office and small shop space. What is now known as "Forest Street Plant", has met all of those needs. The "Forest Street Plant" name came from the actual street that the building resides on. "Riverside Feeds, LLC" name came from the Wapsipinicon River that runs directly behind the warehouse. A short trail leads from the backyard of our property through some trees and down to the riverbank. Our latest, and biggest construction project just wrapped up in March 2017. 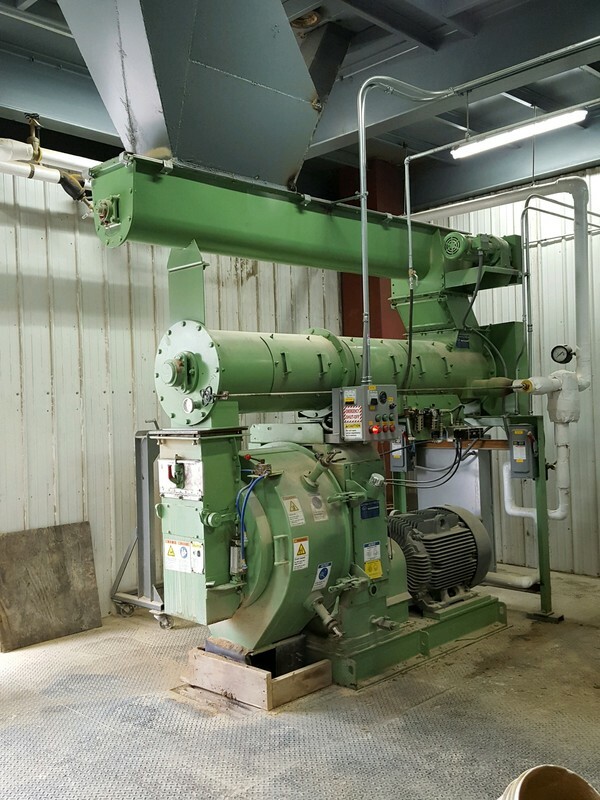 Beginning in July 2016, 9 months of heavy construction and a lot of hard work resulted in our CPM 3020 Pellet Mill operation. Currently up and running, we have expanded custom processing service opportunities and abilities. The owner, James Frantzen, will personally give tours when he is available. Please call ahead (prefer 1 week), to schedule your appointment!